Chapter 79: Searching Grand Alliance Headquarters! Going on official business for the Sect makes you really rich, taking out 200 tael silver is as easy as flipping your hand. If 200 taels are taken out on earth it will be equivalent to 200,000 which was not a small number. Play? He came to this brothel and was asked to play? Hong Xiaobao! Really, all ideas that came from this kid surely is not simple at all! He sounded like he was casually chatting, but in fact he wanted to know how many copies this Jiang Hu News were printed out. Lotus Flower Base Sect place? This Jiang Hu news can be bought?! “5 copper coin? !” Xiu Wenle was really shocked. Such newspaper only cost 5 copper coins each, it is truly cheap! This Hong Xiaobao definitely has many secrets to print such newspaper Jiang Hu News for a cheap amount with utter relaxation. Actually to most of Jiang Hu people, five copper coin per one of Jiang Hu news can be considered almost a pocket change. However, the issue is that money will return soon. Supposedly, only Chijing City can even sell more than 500 tael silver, Lotus Flower Base Sect brothel was all over the world that almost in every big city. Publicizing in such big cities, the profit would just flow in like flood water. Moreover this Jiang Hu news was published weekly and pure monopoly, such sales volume was enough to struck terror in everyone’s mind. Therefore while calculating, Xiu Wenli could not help but shudder in shock. After all he was not an idiot, this Jiang Hu News was an insane money-making tool. “This was just amassing money.” The thing Xiu Wenle thought was to solve this first. Especially the issue of where is the source of goods must be solved first. Looking at the Jiang Hu News article, thanking Saint Academy Head Teacher Fang Xinghan for providing the hand written letter, this clearly mentions that Hong Xiaobao had already made contact with Saint Academy this time! This Jiang Hu News, can easily earn over a million tael silvers income in a year, this was a great sum of money. As the saying goes, 100% profit is enough for one to take risk, 200% is enough to make one disregard the law, and 300% can even let someone pay with their lives! And Hong Xiaobao print technology is simply a thing that can evoke 200% or even 300%, this was enough reason for Xiu Wenle to make a move! After thinking about the benefits and consequences Thunder Sound Pavilion had previously promised, Xiu Wenle could only find it illusory. On the other hand, Hong Xiaobao’s background didn’t matter, after all he was not acquainted to any major powers. However, once they have this technology, the heavens will literally shower them with money! 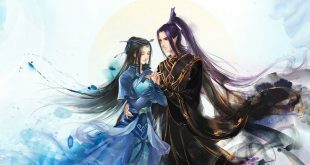 “I have decided, once it’s midnight has come, I will personally search for Hong Xiaobao’s house and acquire the print technology!” Xiu Wenle thought till there, he decided and waited for nightfall to come and started to move. Once nightfall came, Xiu Wenle instantly crossed the street. Wearing black clothing and a black mask on his face, he jumped from Warm Fragrant Building like a black cat tracing Hong Xiaobao house location based on what Xiao Taohong said earlier. He arrived at Grand Alliance Headquarters quickly. Contrary from his expectation, there seems to be nobody guarding the place at night. Whole place unexpectedly only had several points that were bright, other parts were completely devoid of light encased in darkness. Xiu Wenle felt his excitement surge. Such an environment was simply prepared for him to come and complete his mission. The moonlight was hazy and visibility is low, such scenario compliments his purpose to steal the print technology of Jiang Hu News. Xiu Wenle jumped up the big wall, he did not feel any danger at all and so he lowered his defense totally. The only problem now was that the place was too big, there were too many rooms but looking through all of them would be easy. However since he came, Xiu Wenle was not worried of being found out, with his strength of 6-star martial artist, no one from Hong Xiaobao forces could compete with him. But he didn’t walk for long before he entered the place when suddenly a sword was thrust straight towards him, Xu Wenle was startled as he parried the attack and turned his head to look at the place where the sword came from. He unexpectedly discovered the other party was also wearing full black clothing with a black mask on the face, he quickly deduce the other party has the same purpose as his. “This brother? Stop!” Xiu Wenle lowly said and back away a few steps, staring at the opposite party with amazement: “Are you also here to steal their print technology?” The other person asked, purposely changed the sound of their voice to be hoarser and deep, obviously intended to keep his identity secret. “This person’s strength is obviously not weak. Just that single sword thrust was full of Qi. I even felt a faint trace of sword Qi, moreover that attack did not prove what exactly his rank was and may be a lot stronger than I thought” Xiu Wenle thought. He affirmed his opponent’s strength and was sure that he couldn’t be compared. If they fought, the sound will absolutely alarm the people in the house and would only cause unnecessary trouble.